There is always something to live and die and will not change – at least for some time – the database. An essential tool for achieving create database is the email. Now, thanks to the Social Web, we can multiply their impact and achieve more for a little more. 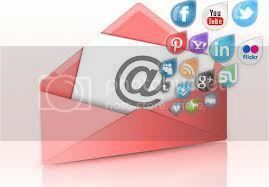 Do not miss the opportunity to integrate social media in your email. Plenty! Choosing a name for you business is amongst the first steps you will take after deciding to start a new business venture. But when it comes to a business name, you cannot simply settle on what you like. A number of considerations should be kept in mind before deciding the final business name.